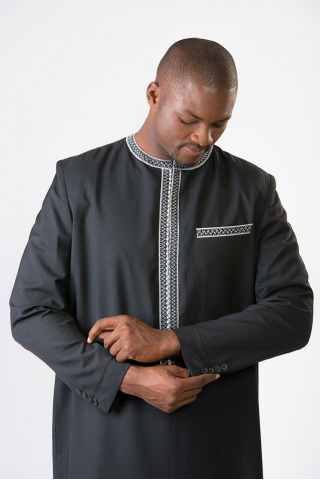 The kiba "African Suit" is a man tunic in a tradi-modern style. 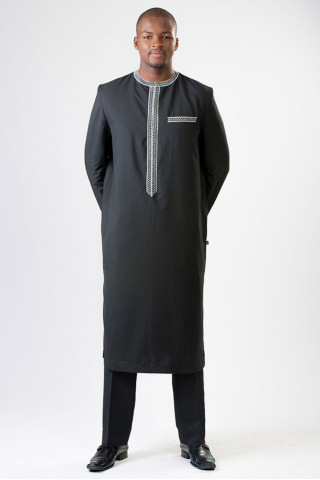 Result of a long research, Kiba is a fusion of the charms of the suit and those of traditional African boubou. It incorporates carefully studied shoulders, sleeves and jackets refined and attributes specific to African dress, giving it a specific look of African costume. The kibas proposed by Keyfa allow to dress differently, especially during important business appointments and major ceremonies of social life. 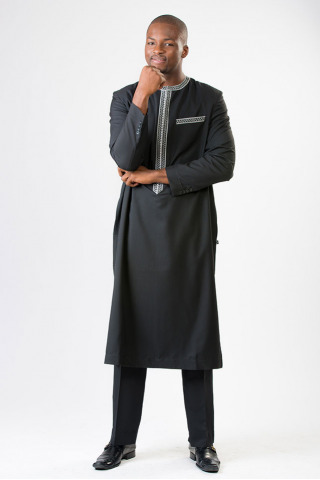 They make original allure and elegance of men looking for refinement, while confirming their African personality.